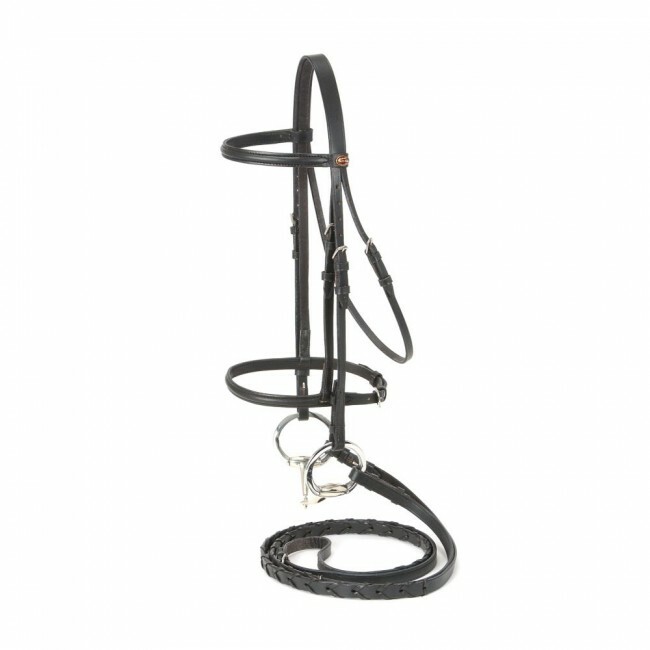 Raised Draft Horse Snaffle Bridle, traditional style, raised browband, and caveson enhances even the finest show horse’s head. Quality standard leather. Laced reins. Less bit.